The man behind Clone Wars and Star Wars Rebels has gotten a big promotion—and it’s good news for Rebels and the future of the animated galaxy far, far, away. Perhaps most intriguingly, it also implies Filoni now has something else to work on besides just Rebels. Here’s the deal: Dave Filoni has essentially been the producer and creative director of both Clone Wars and Rebels since either series began, but the eagle-eyed folks at Big Shiny Robot noticed that in last weekend’s season three premiere, Filoni was no longer credited for his role as Supervising Director, the credit instead going to Justin Ridge—best known for his work on Avatar: The Last Airbender, but a Lucasfilm animation veteran having worked with then since Clone Wars’ first season. However, it’s a role Filoni has had thus far for the entirety of Rebels and for all of Clone Wars, so it’s a noticeable absence. Dave is still just as involved as ever – overseeing all aspects of Star Wars Rebels production as Executive Producer and occasionally directing episodes. In many ways, mentoring Justin and moving him into the role as Supervising Director has made it possible for Dave to be even more immersed in the writing and story structure of the show as well as creatively overseeing future animation development. Justin started with Lucasfilm Animation on the first season of Star Wars: The Clone Wars and worked with Dave before that on Avatar: The Last Airbender, so they’ve been working together for quite some time. Essentially, as other Lucasfilm employees have noted on social media, Filoni is the George Lucas to Ridge’s Filoni (Lucas mentored Filoni throughout the production of Clone Wars). What’s interesting is that Filoni has more or less been the supervising director of all Star Wars animation, because he has been in charge of the only project being made by Lucasfilm Animation. The only reason to give Rebels to Justin Ridge and give Filoni the promotion would be if Lucasfilm has another animated project in the works, and wants Filoni to oversee both it and the series currently running on Disney XD. 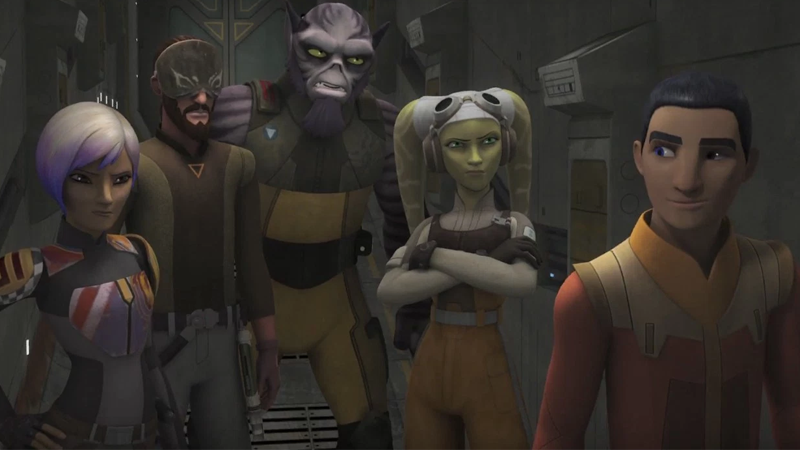 There have been rumors recently of early plans for a new Star Wars animated series being discussed, which lead to concern that Rebels may be in its twilight as it heads into season three. But with this promotion, it seems like Lucasfilm isn’t looking to replace Rebels, but add to it.